- why do the 2 hour drive? - why on a weekday? - won't you be tired? The answer is quite simple if you've ever dined or stayed at the Westin - its because its one of a kind! The newly opened Sacci lives upto the Westin standards, with beautiful Italian music to set the mood, a beautiful bar seating area, and a lovely dining area - which has gorgeous pots and pans hanging from the ceiling, all this together proved to be the perfect atmosphere for an Italian dinner. Since we drove in from Dubai (besides our best attempts to beat the never-ending traffic) we still reached a bit late, so our first dish was the beautiful risotto, perfectly cooked and 4 bites in I was already full! 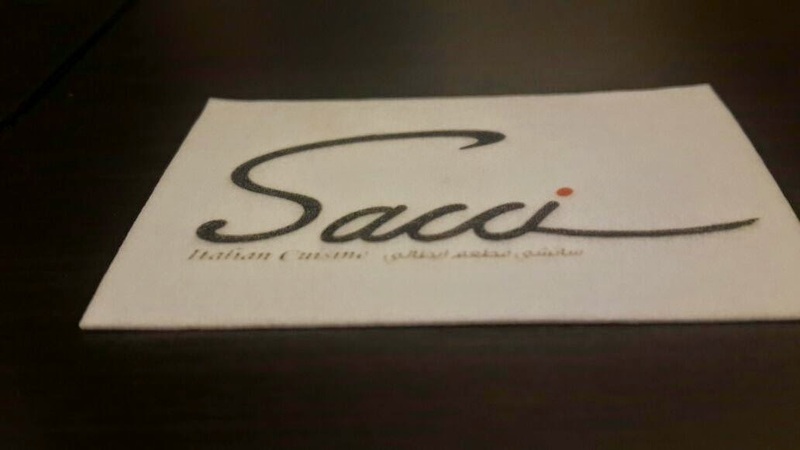 The menu from there on just keeps making you want more - from a perfectly cooked pasta mixed with pasta sauce, half baby tomatoes and juicy chunks of cheese, yes each course as it unravels only reminds us that Sacci is here to stay. 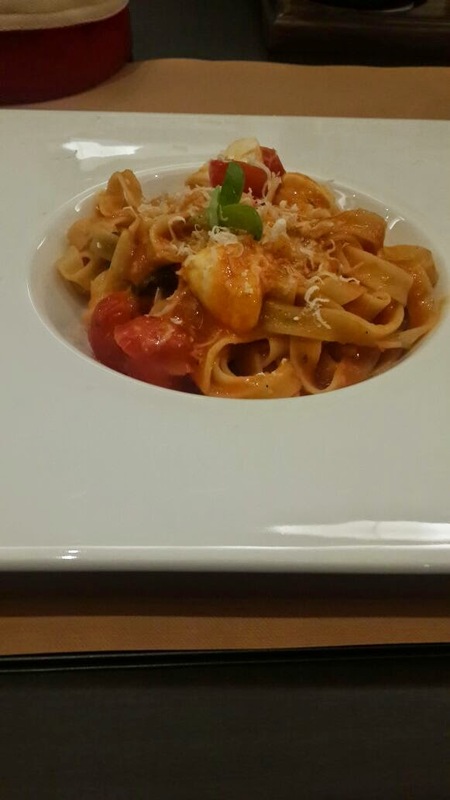 Pasta that made us wanting more! Each course was served with a wine that not only paired beautifully with the food but even enhanced the flavour of the food especially our tiny glass of dessert wine - Strong but not over-empowering. Sadly the evening came to an end but not before a perfect plate of dessert was set before us - tiramisu, quinche marmalade pie with goat cheese snow, chilled vanilla ice cream and in simple words "cake in a cup". 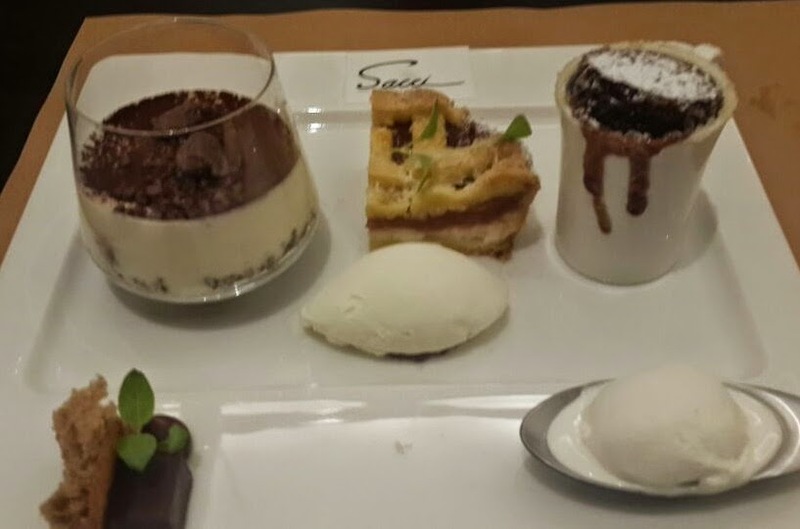 There is no doubt that if the chef keeps doing what he did for the pre-opening night, Sacci will become quite a famous name not only for the Westin Abu Dhabi guests but even for us travellers - all the way from Dubai!